2. 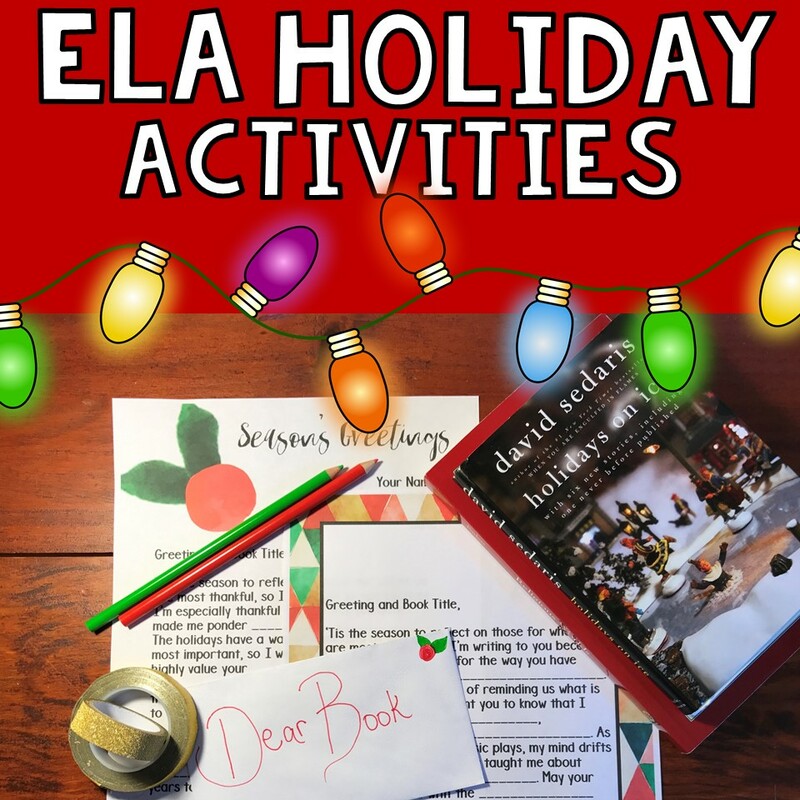 Have a book party the day before winter break. The school I teach at allows parties, but I don't want to have a day of complete partying because my classes are 90 minutes long. What would we do with the other 80 minutes after food and drinks? Depending on the class period, they have already watched two or three Christmas movies that day by the time they get to me, so I can't really play that card either. Because of this, I always schedule our edible book project for the day before winter break. We still get to have a party, but there's a little reading love thrown in as well. :) Students must bring food that symbolizes character or theme and present it to the class before we sample food item. 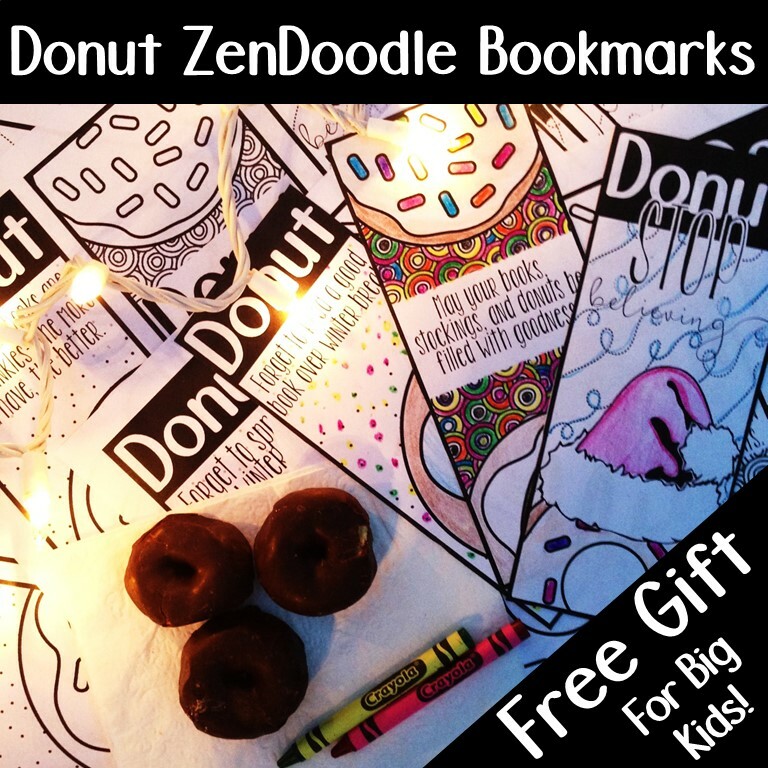 I use this for their free-choice reading, but you can also use it for the novel they are ending before break or for their favorite story of the semester. You can get a more readable/printable version of this handout, a Harry Potter example, and other food-related project choices (for those who might not be able to afford to bring in a dish) for FREE by signing up for my English teacher monthly newsletter (see form below). 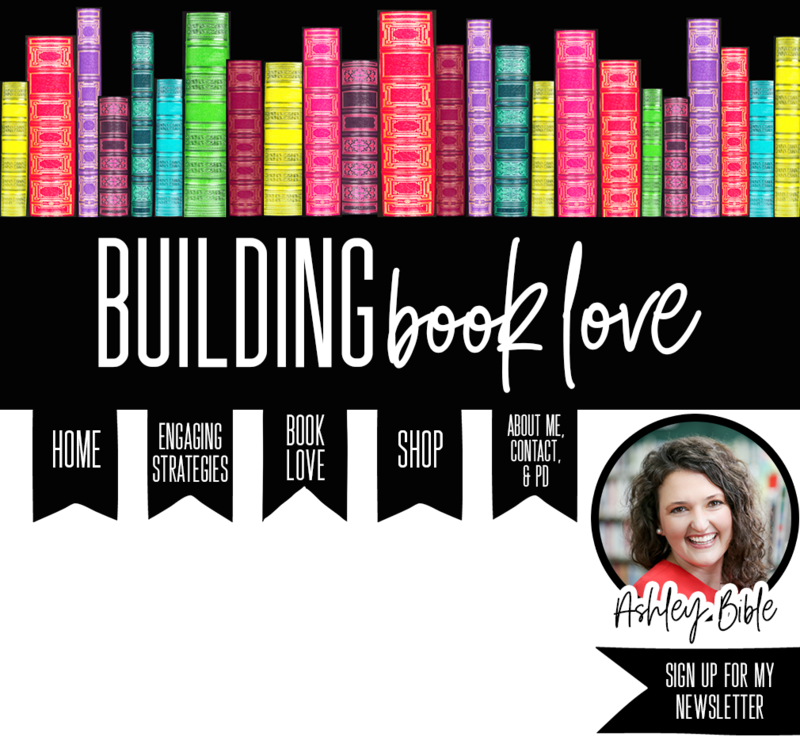 If you are already on my newsletter and would like a copy of this, please email me so that I can send you one! 3. 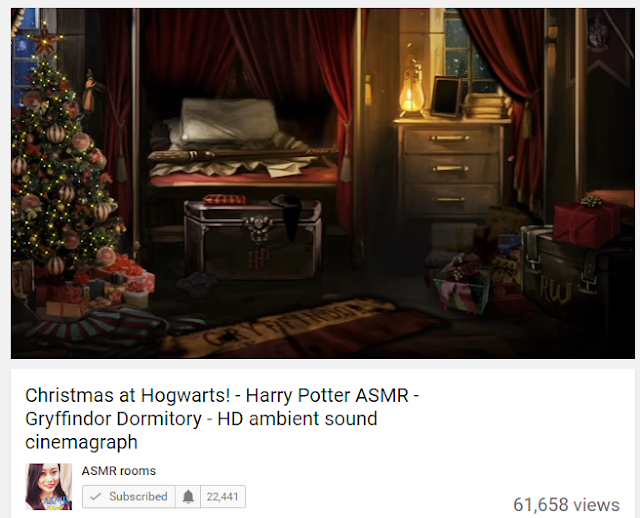 Decorate your room. In just 10 minutes, you can make your room special for your secondary students. It doesn't take much, but they will it not go unnoticed or unappreciated. 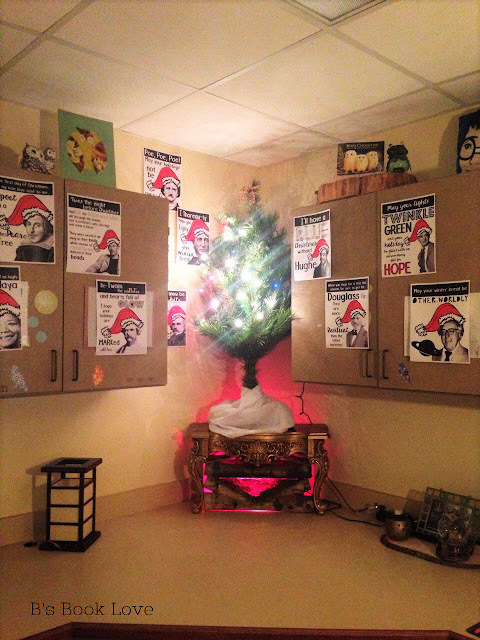 I always keep a little tree in my closet at school and simply pull it out of the box and throw some lights on it. I don't even do ornaments. Even though it's simple, I love how it adds a touch of holiday ambiance to my room. 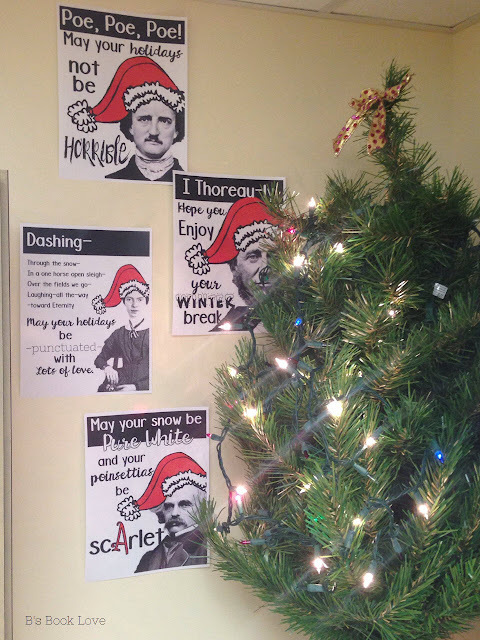 Along with my tree this year, I have added Christmas posters that only an English teacher could love. Ha! Some are pun-tastic and others serve as a beautiful reminder of our magical the winter season can be! 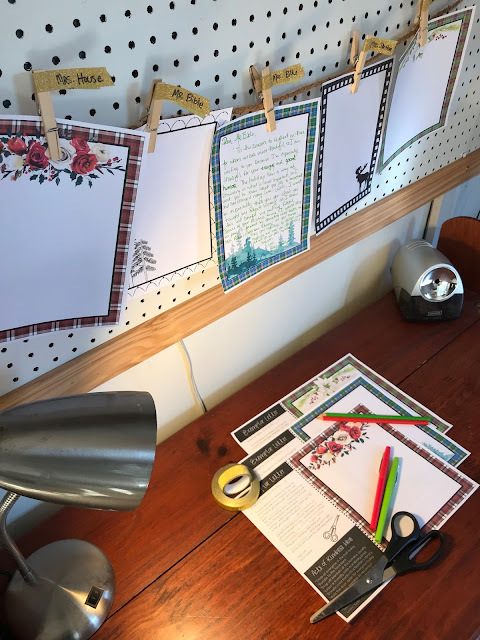 I got on a roll and ended up making over 20 of the author-inspired holiday decorations. 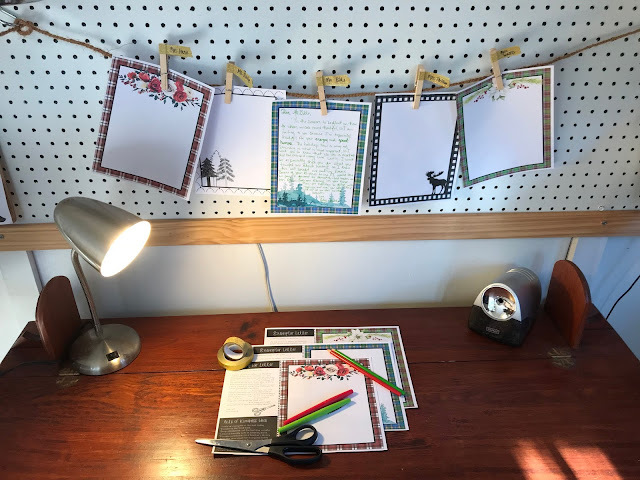 They can also serve as Christmas cards for your students. I hung most of them as posters, but I'm saving a special Shakespeare one to give out as cards since I'm teaching British literature this semester. 4. 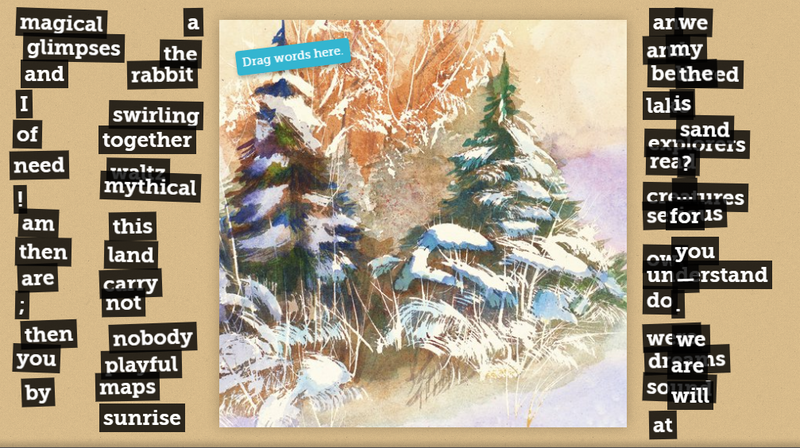 Use my favorite FREE website, StoryBird, to create festive and artistic poems. Storybird's new poem maker feature is SO fun and addicting. Basically, you select artwork and generate a poem based on the words it gives you...like putting together a poetry puzzle. 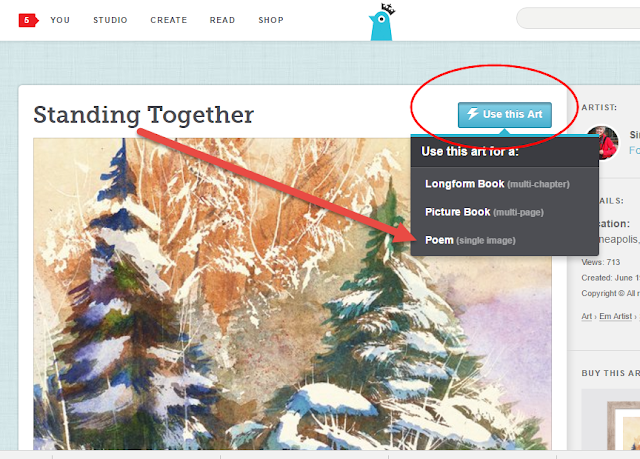 Step 2: Search for holiday-inspired art. I used the word "winter" to get to the art I wanted. Step 3: Find the art you wish to use and click "use the art" then select "poem"
Step 4: You will then be taken to a platform where you can drag words on top of your picture. 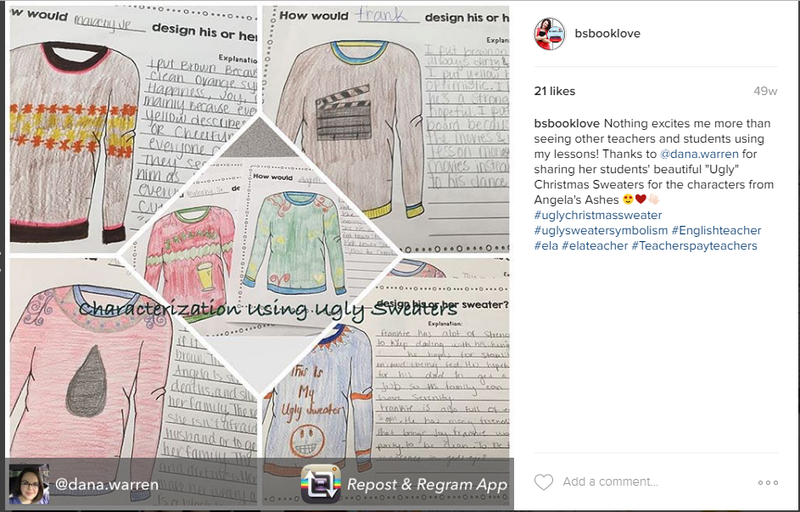 This is where you can add in standards for students such as: Create a poem using parallel structure or create a poem that contains personification. Here's the one I came up with. :) Once students finish, they can save and email you the final. Or, you can create a classroom account where you will get your students' creations under your account. 5. Rock ugly Christmas sweaters. 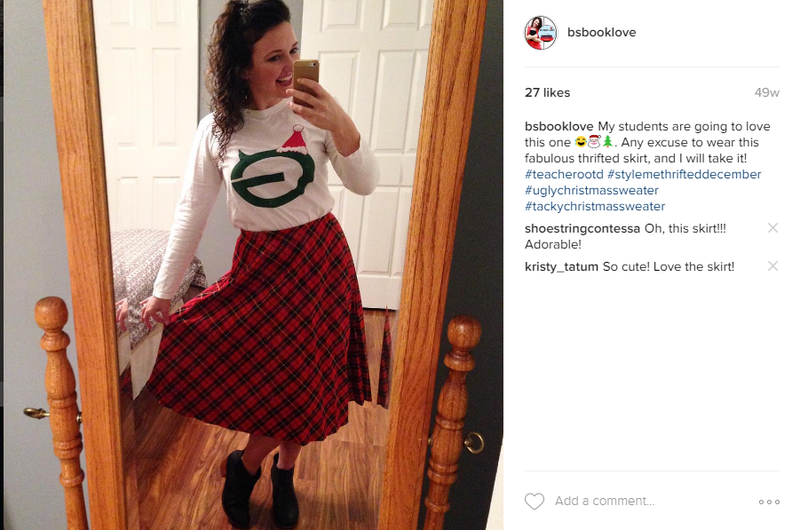 I'm an avid thrift store shopper, so I love having an excuse to browse for Christmas outfits that I know my students will get a kick out of. 7. Write Christmas Cards to Books. With careful planning, I normally wrap up a novel right before winter break. 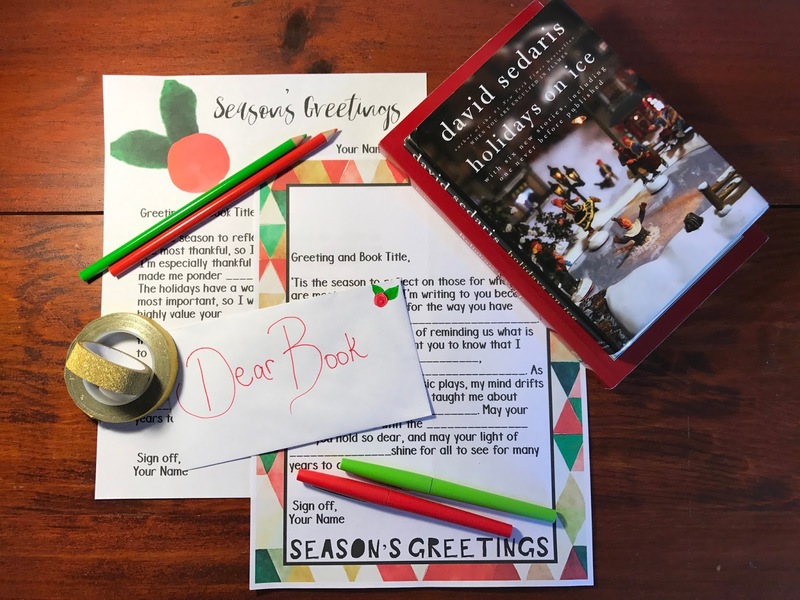 For a festive end end-of-novel reflection activity, I have my students write a Christmas card addressed to their book. 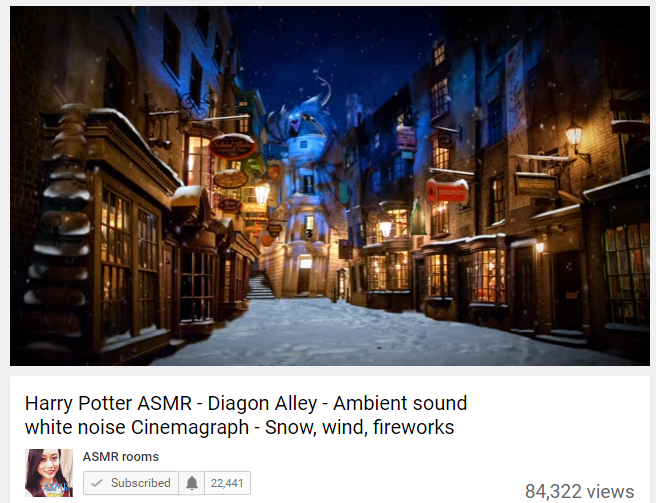 This can work with free-choice reading books as well! 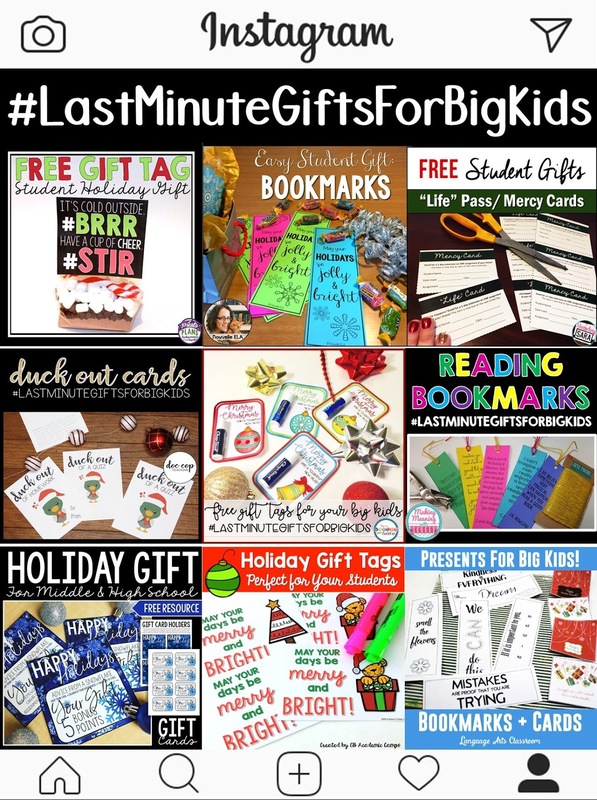 While most of the kindness ideas are student-centered, my contribution helps students show kindness to teachers. 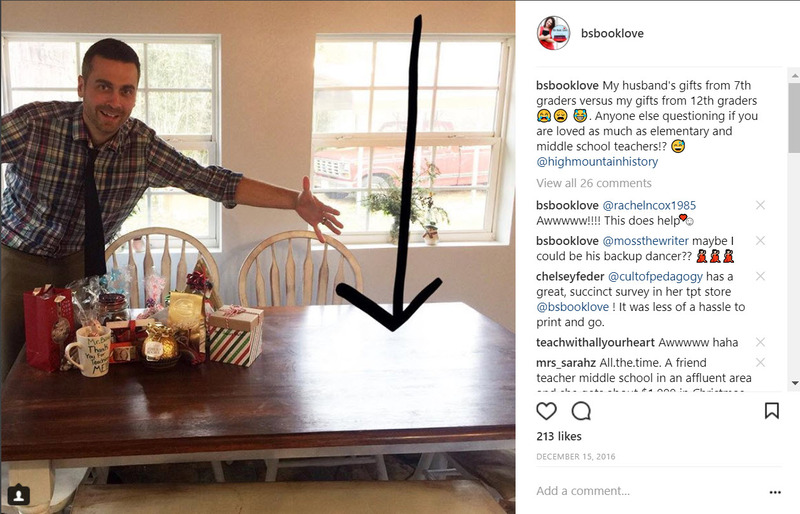 Last year I posted this picture of my husband on Instagram, and it struck a chord with a lot of secondary teachers. Here he is pictured with gifts and notes from his 7th graders while I didn't get so much as a card from my 12th graders. This post was meant to be funny, but the truth is that it did hurt my feelings a little. I cherish the rare tokens of appreciation I get from students, so I wanted to create something that helps students express kindness toward teachers. I designed these prompted letters to help older student gift their secondary teachers with words of kindness. 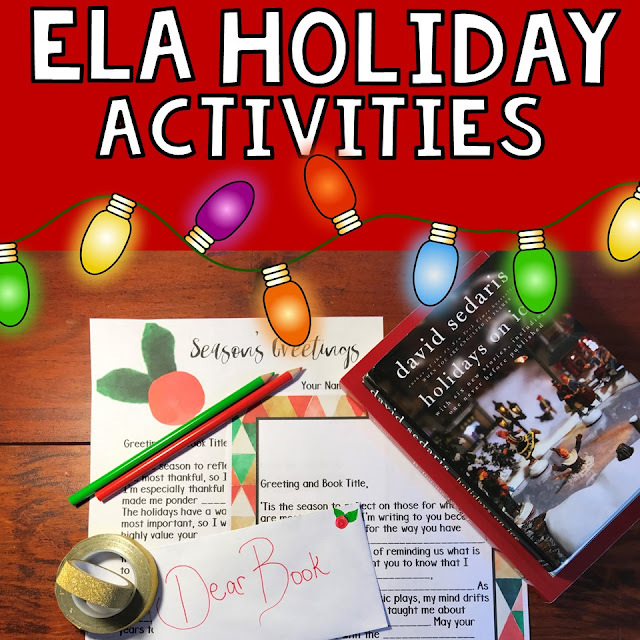 Bonus Idea: If you are like me and like to plan for the new year before you leave for break, here's a post with New Year lesson plan ideas! Cute outfits! Thanks for joining us! So many clever ideas and useful tools! 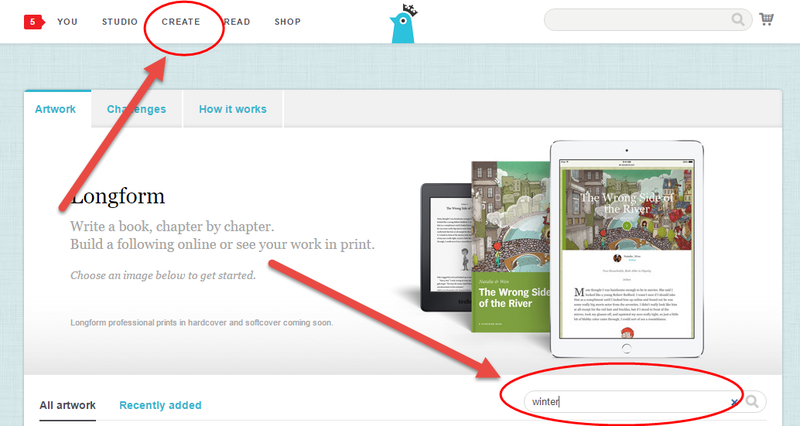 Thanks for sharing Storybird. 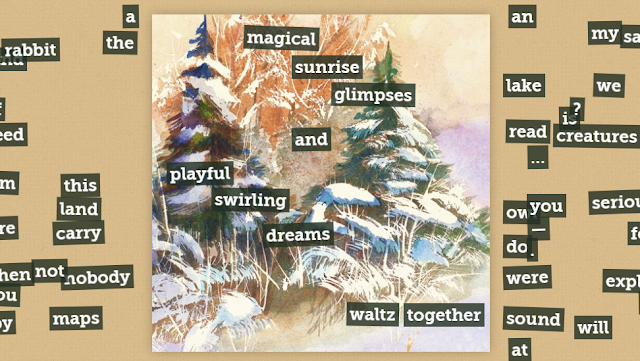 Those literary Christmas cards are adorable! I've been to every larger venue in the town and this is one of the best. Their menu is small but at least they seem to do what they have on it well. The event locations have a variety of salads and sandwiches, and a fresh daily soup. O wao these holiday cheers are so exciting and let me first get free from writing personal statement for http://www.studyabroadpersonalstatement.com/international-student-personal-statement-writing-services/study-abroad-essay/ then I shall be back to this page.Thank you for sharing so nice ideas. O wao your services are trully remarkable and I would like to share my website on this after completing some important task.Thanks for sharing this.